Cobá, Cenote Multum Ha, Tulum and Playa Paraiso, Small Group. The Yucatán Peninsula is known for its archaeological highlights, but exploring them all in a day can be difficult. 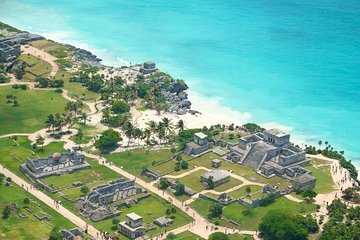 Discover Cobá, Multum Ha Cenote, Playa Paraiso, and Tulum on a day trip from Playa del Carmen, and save time finding a meeting spot with hotel pickup and drop-off included. Enjoy personalized attention from your professional guide as you learn more about these ancient sites on a small-group tour.